SCOTTSDALE, AZ--(Marketwire - Sep 10, 2012) - TASER International, Inc. (NASDAQ: TASR), today announced an order by the Pittsburgh Bureau of Police Department (PA) for 50 of TASER's new AXON™ Flex™ on-officer cameras with three years of full service EVIDENCE.com management solution including software maintenance, hardware warranties, and updates. 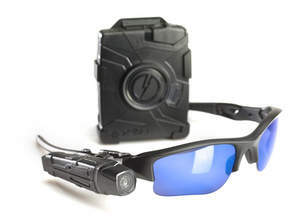 "The TASER AXON Flex On-Officer cameras will be a very valuable tool for both officer safety and citizen encounters," said Chief Nathan Harper of the Pittsburgh Bureau of Police Department. "In the ever changing world of technology this tool will not only serve as a training aide for demonstrating real-time recordings but will enable the Pittsburgh Bureau of Police to provide an even higher quality of service to the citizens that we serve." "We are thrilled with the addition of another major city's decision to deploy AXON Flex cameras at the Pittsburgh Bureau of Police Department," said Rick Smith, Founder and CEO of TASER International. "As a technology leader in law enforcement, Pittsburgh is now the third major city law enforcement agency to deploy Flex cameras with our EVIDENCE.com back-end solution along with Ft. Worth, TX and Mesa, AZ police departments. This system can supplement their in car video recorders with a flexible system that can be used for motorcycle officers and in unmarked cars. Flex cameras enhance risk management and protect officers with the preservation of invaluable evidence which enables a new level of trust and transparency between the public safety community and society as a whole," concluded Smith. This order was received and expected to ship in the third quarter of 2012 and includes three years of EVIDENCE.com service. TASER International, Inc. (NASDAQ: TASR), is a global provider of safety technologies that protect life and protect truth. More than 16,800 public safety agencies in 107 countries rely on TASER® electronic control devices (ECDs) and AXON on-officer camera systems to help protect and serve. Today, the use of TASER ECDs has saved more than 95,000 lives from potential death or serious injury while TASER innovations benefit individuals and families too, providing personal protection and accountability while maintaining regard for life. Since 1994, more than 250,000 individuals have relied on TASER technology as a means for effective personal safety. Learn more about TASER International and its solutions at www.TASER.com and www.EVIDENCE.com or by calling (800) 978-2737. TASER® is a registered trademark of TASER International, Inc., registered in the U.S. All rights reserved. TASER logo, TASER® and Flex™ are trademarks of TASER International, Inc. Please visit our Investor Relations Safe Harbor Statement at http://investor.taser.com/phoenix.zhtml?c=129937&p=irol-safeharbor.